Android. In simpler words, what Google did (and continues to do) is tear a line between the core Play services that ensure Android has the essentials to operate normally, and apps like YouTube, Google Maps, and others, which are now available for direct download off the Play Store. 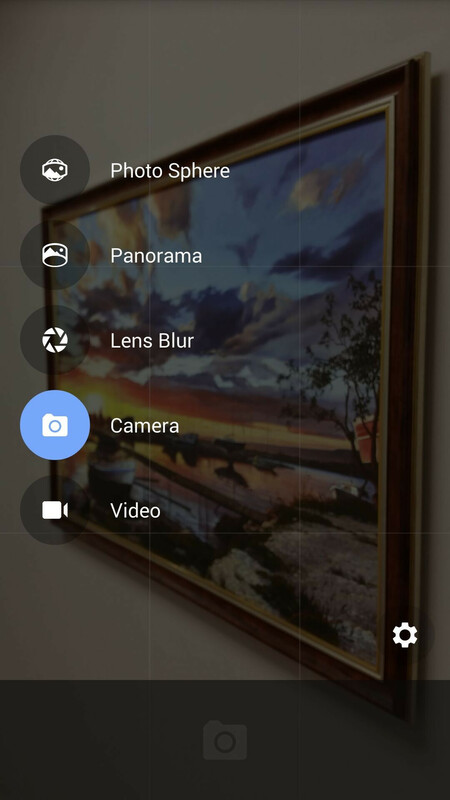 The latest nail in the coffin of the monolithic Android of old comes in the form of the Google Camera app, which is now available as a stand-alone app. The imaging app brings the full power and simplicity of the native camera app you'll find on stock Android devices like the Nexus 5, and we've had quite some fun playing around with it on handsets hitherto ineligible for it. 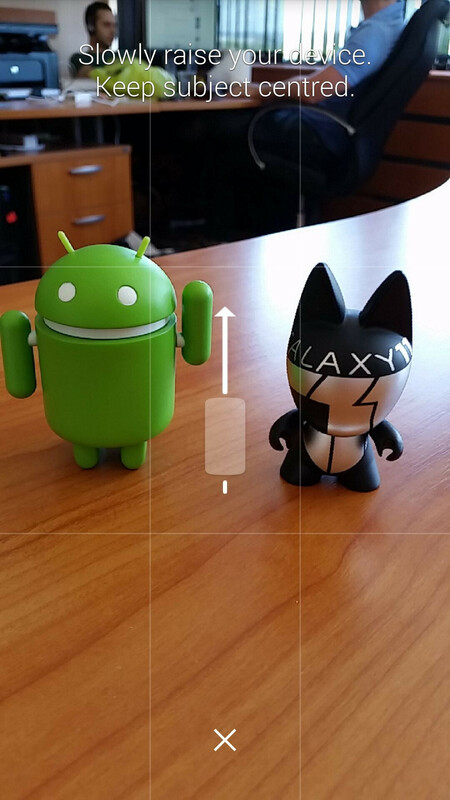 In fact, given how background de-focusing techniques (bokeh effects) have shot up in popularity with phones like the One M8, Xperia Z2, and Galaxy S5, it felt like it deserves a more in-depth review from us. But Lens Blur, as Google calls the aforementioned technique, isn't the only great thing about the Google Camera. You also get the company's industry-leading 360 panorama mode (sometimes referred to as Photo Sphere), along with normal panoramas, and, indeed, the standard: stills and video capture. Obviously, for most devices that come with a dedicated and highly customized camera app (e.g. S5, M8, Z2), the Google Camera mostly serves to close a functional gap, though some may prefer its simplicity over their existing, built-in app. As we've come to expect from Google, its camera app has a very rudimentary interface, though that's not necessarily a con. Opening the app introduces you to a very stripped-down UI, with a single icon that contains the few controls available (HDR, flash settings, grid lines). The available shooting modes also make a short appearance from the left side of the interface, in order to make their presence known, and then get out of your way. You can recall these with a single swipe from the left border, and take your pick. Doing so will also reveal a shortcut to the settings, which allow you to tweak away the resolution at which snaps and video is taken, and also control the image quality of panoramas and snaps taken with the Lens Blur option. Speaking of Lens Blur, it's quite easy to use. Take a simple still, and then slowly move the device vertically when prompted, and let the software do the rest. In our experience, the feature is very well implemented, and delivers on its promise -- snaps get a pleasant background blur, while the object in focus remains sharp. 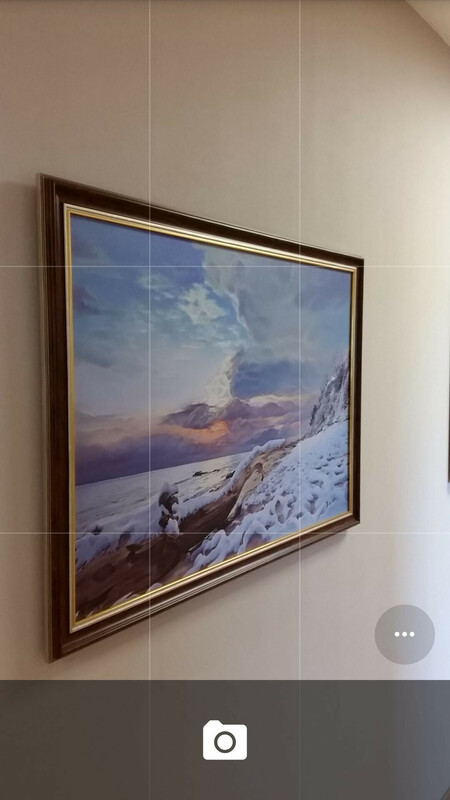 The other stand-out feature of the app is, again, the ability to shoot immersive, 360 panoramas. Given how Google pioneered the feature for Android, it's without a doubt the best implementation of the shooting mode -- stitching has gotten very intelligent with the latest update. It's also somewhat easy to get the hang of it -- you basically start off by aiming your camera at the blue point in the center of the scene, and then just sweep around both horizontally and vertically, hunting down other 'dots' that indicate where the next shot is. The only draw back with the Google Camera that we've seen is the fact that it doesn't necessarily play nice with every device, and crashes do happen every now and then. That said, those were isolated incidents on the whole. Nice job, Google! Very nice but one Massive missing option is widescreen, the nexus 5 needs a 6 megapixel widescreen option. Why? You just lose parts of the picture. I've never had it crash on me, but maybe that's because I have a Nexus 5 I think 9/10 is a bit too high, I'd rate it 7/10, it needs more options/features, such as more manual control and different resolutions (e.g. 16:9 resolutions), slo mo, timer, motion shot,..
Why don't you review Nokia's Camera? I am actually quite surprised at PA why they never include a Lumia phone in a camera comparison battle. It WAS I am sure if they are compared with today's top dogs it will get its run for the money. You don't have to cuz it won't even be a battle. That's how fanboys speak not consumers. This isn't a camera post, it's a post about an app. Has nothing to do with hardware. Use this on the Moto G and found that it takes much better low light shots compared to the stock Motorola Camera. No HDR option for my Moto G. It's OK app. I like "A Better Camera Unlocked" the most for my Moto G.
how come its all 4:3 no matter which MP i choose? and it doesn't have HDR option on my Z1 compact...?? How do you adjust white balance on this thing?? Well since having gone back to the Nexus 5 to keep everything updated... most especially THIS app/feature/function, I am left unimpressed. The camera function on my phone crashes... A very basic and integral function use of a smartphone does not run the way it should. And when it was working, the pictures were still inferior to those images captured from my Lumia 925. Which explains why I switched back to my Lumia sooner than anticipated. I've a total of four nexi in my house, non crash using camera. Perhaps it is because I messed with the settings, but I have restarted the phone and crashes still occur.